Last Man Standing is an American 30 minute scripted family television series, which kicked off on October 11, 2011, on FOX and is broadcast every Friday at 20:00. The show is currently in its 7th season. FOX is yet to announce the renewal of Last Man Standing for Season 8 as well as its cancelation. Sign up to track down the show's status and its release date. 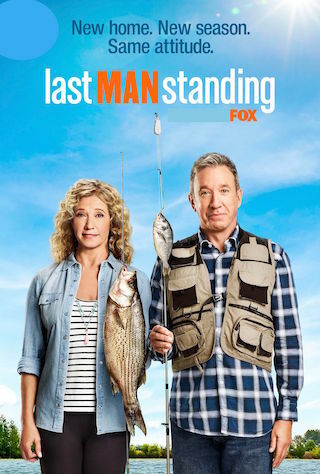 Last Man Standing follows Mike Baxter, a married father of three girls, who tries to maintain his manliness, despite being surrounded by women. Mike and Chuck get their game on when Ed has a pinball machine installed in the office. Meanwhile, Kristen and Mandy become jealous of a poem Vanessa wrote for Jen. When Mandy and Kyle are hesitant to move out of the Baxter household and into their own place, Mike gives them some tough love. Meanwhile Ed and Chuck try to avoid contributing to Boyd's theater fundraiser.